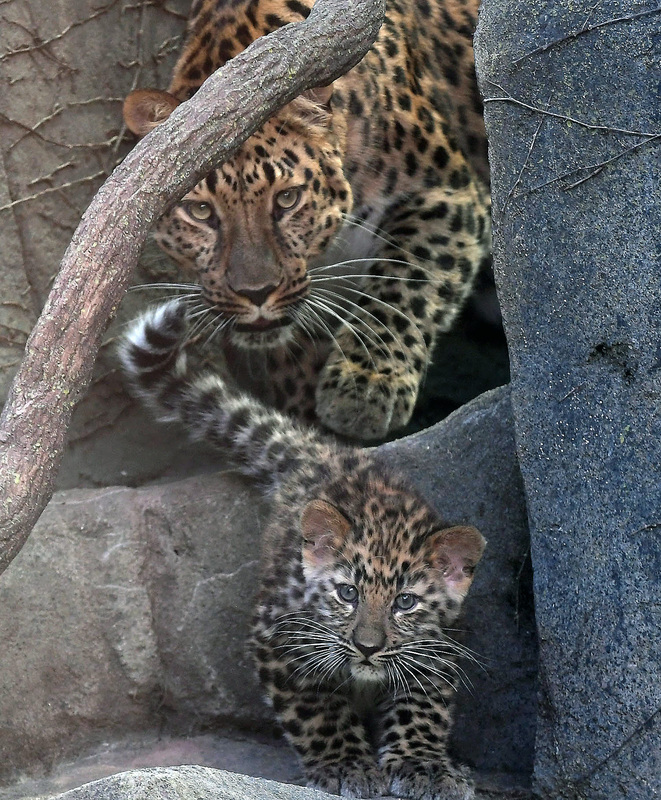 Two 3-month old male Amur leopard cubs made their public debut at Brookfield Zoo recently. 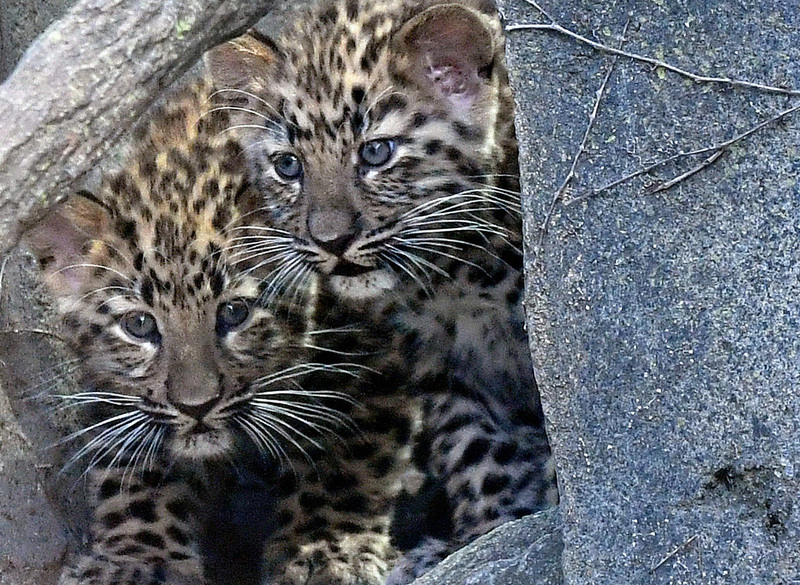 The cubs, named Samson and Jilin (pronounced GEE-lin), were born on April 18. Up until now, the two had been behind the scenes bonding with their 7-year-old mom, Lisa. Currently, guests can see them during morning hours in their outdoor habitat located on the west side of Big Cats. As they get more acclimated to their new environment, they will be viewable throughout the day. Lisa and the sire, 8-year-old Kasha, were introduced back in 2015, and are also the parents of another male offspring named Temur who was recently transferred to another accredited zoo. 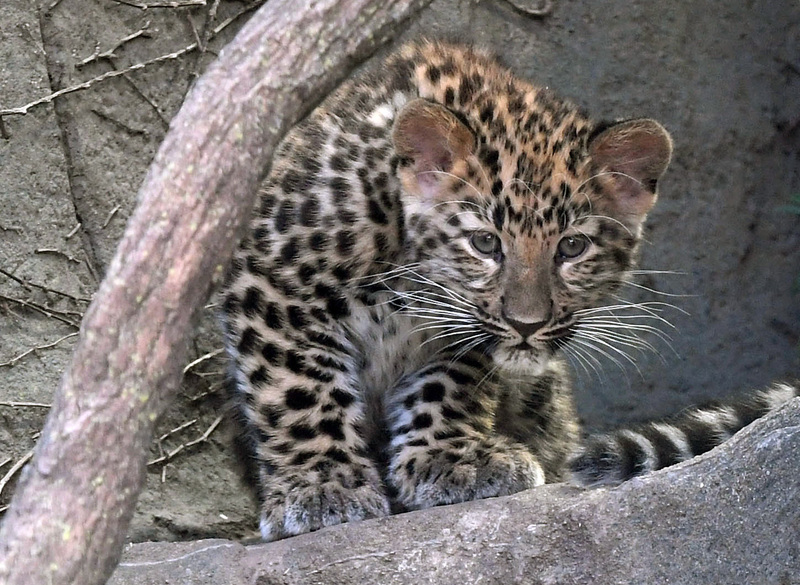 Both parents were brought to Brookfield Zoo in 2013—Lisa from Saint Louis Zoological Park, and Kasha from Le Parc des Felins in France—as part of the Association of Zoos and Aquariums’ (AZA) Amur Leopard Species Survival Plan (SSP). An SSP is a cooperative population management and conservation program for select species in accredited North American zoos and aquariums. Each plan manages the breeding of a species to maintain a healthy and self-sustaining population that is both genetically diverse and demographically stable. This SSP is especially important, because they are critically endangered with less than 65 animals left in the wild. The biggest threats to these solitary animals are poaching; retribution hunting; a decrease in their habitat from fires, logging, and human settlement; and a decline in their prey.